With 20 years combined experience, 2 minds got together and wondered what was missing in the construction industry. After years of thinking, it finally occurred to them that a company needed to be formed who employs its own tradesman that do all the contsruction work from start to finish, co-ordinate the entire project and make the experience for the customer easy and enjoyable. The company needed to be understanding of the customers needs, it needed to be able to control the entire project from start to finish, it needed to be able to supply a quality product that they are proud to install and the most important thing, it needed employees that are approachable with good customer service and that are actually on site installing the product after the sale has been made. These 2 minds formerly known as DCM Creative Landscapes and BMF Landscaping joined together in 2009 to form PIONEER PAVERS PTY LTD and take the poolside landscape construction to THE NEXT LEVEL. DCM was formed in 2003 and started as a small landscape maintenance business. The business owner (Cameron) has a Degree in Horticulture (BAS) which was completed at the University of Melbourne Burnley and once this was completed launched straight into self employment. As the years went on and the business grew, DCM started to specialise in hard surfacing which included paving, concreting and timber decking. As resorces became available the companhy grew further and entered into home renovation and full indooor and outdoor restoration work. The business was able to build a great customer foundation and continued to grow based on the high quality of work and customer service it provided. DCM brings professionalism, experience and high standards to PIONEER PAVERS which stand it in good stead for the future. BMF formed in 2005 and was created from a turf management background originally, specialising in irrigation, drainage and turf installation and maintenance. The business owner (Brett) has a certificate IV in turf management and spent many of his early working years in golf course construction and maintenance. 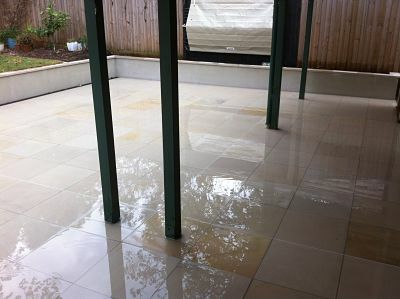 The attention to detail and the importance of levels etc in golf course construction, led to Brett being able to transfer those skills to Landscape construction becoming one of the best installers of pavers and finished concrete slabs in Victoria. BMF landscaping brings skill, attention to detail and quality workmanship to PIONEER PAVERS which guarantee customer satisfaction.